Combat Points were first introduced in Pokémon GO as a means for players to be able to look at a Pokémon at a glance and terermine if its stats are good or not. 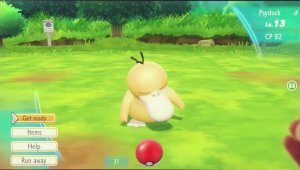 In Pokémon Let's Go, Combat Points are used but with more factos involved, it becomes a bit more convoluted. With this, you'll be able to see the CP of a Pokémon. However, due to variances in natures, getting a perfect CP Pokémon is quite difficult as the higher CP is calculated based on the highest stat being beneficial and the lowest being hindered. CP is just a visual representation of the strength of a Pokémon and is not a stat in itself. There is, however, a cap. A Pokémon's CP cannot get above 10,000. While the stats continue to increase where the calculation would end up as more than 10,000, it will just display as 10,000.